Anyone wants to conquer the second highest peak in Turkey? 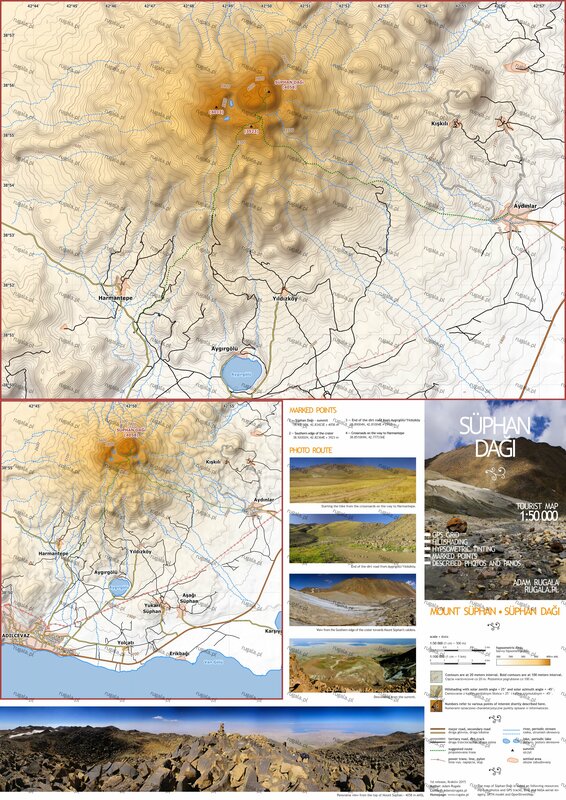 See a new tourist map of Süphan Dağı volcano, Turkey. I hope it will surely be of much help to you! Cost of the map with no watermarking depends on how much you value it. Cost of the printed version to be discussed. If you are interested, please contact me. The map of Süphan Dağı is based on following resources: my own photos and GPS tracks, Bing and NASA aerial imagery, SRTM model and OpenStreetMap. Do you like this blog post? Share it with others. polo: To Moskwicz a nie Żyguli. I present the first tourist map of Aragats, Armenia! 1:25 000 scale, GPS grid, hillshading, tinting, suggested routes and points of interest described. Everything is ready for printing on A3 sheet.